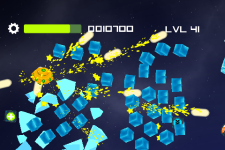 An intense SHMUP space arcade game. 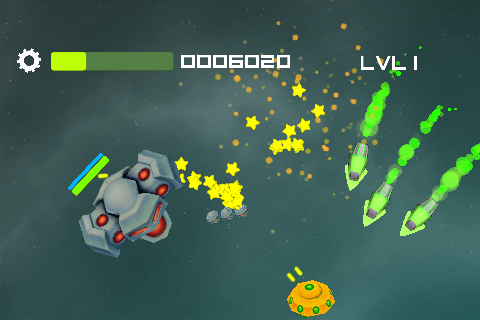 You're stranded in a deep-space with your UFO-like spaceship, surrounded by strange enemy ships, aliens. Destroy them before they destroy your ship. Avoid the enemy ships, aliens, obstacles and bullets. 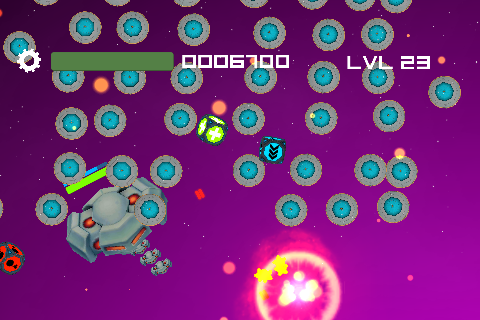 Collect Power ups. 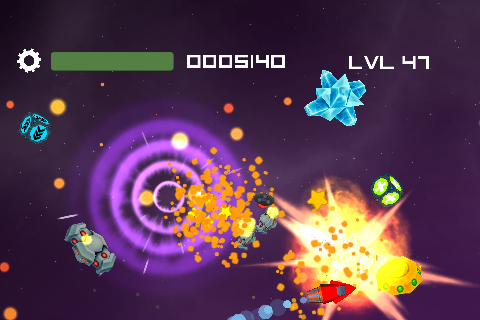 Navigate your spaceship by touch-and-drag. 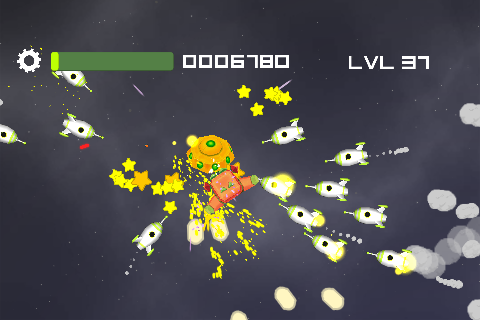 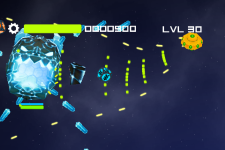 Your spaceship will fire automatically on the nearby enemies. As you progresses the levels become crazier and crazier with more mayhem, and eye-popping special-effects. 50+ levels of space-shooting fun to conquer.